Confessions: Animal Hoarding – Season 1 (2010) – What's New on Netflix Canada Today! Delves into the hearts and minds of individuals afflicted with this disorder and provides a voice for the family and friends who are determined to prevent their loved ones from spinning further out of control. In each of the six episodes, cameras will enter the homes of men and women, from their early 20s through the retirement years, discovering what it’s like for animals and people to live in toxic conditions that result from an unbelievably large menagerie of animals. 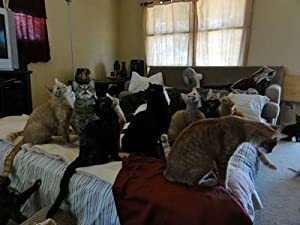 And, Animal Planet gets to the heart of the matter, exploring the reasons why these individuals turned to hoarding and how their problems spun rapidly out of control.